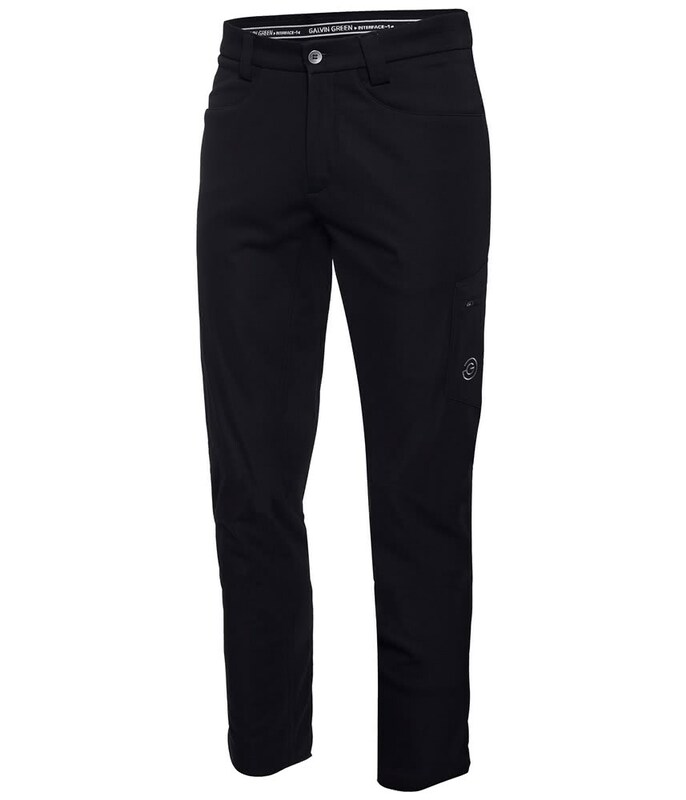 The Galvin Green Leo INTERFACE-1 Trousers have been designed to provide extreme warmth and breathability to help your play better in colder conditions. Galvin Green have used a 3-layer fabric construction that features an internal microgrip for added warmth. The INTERFACE-1 fabric technology is also highly breathable and moisture-wicking to keep you warm, comfortable and sweat-free. For enhanced comfort and a fashionable fit a regular cut has been used in this performance stretch fabric. The added bonus with the performance fabric is that it also features a water-repellent finish. 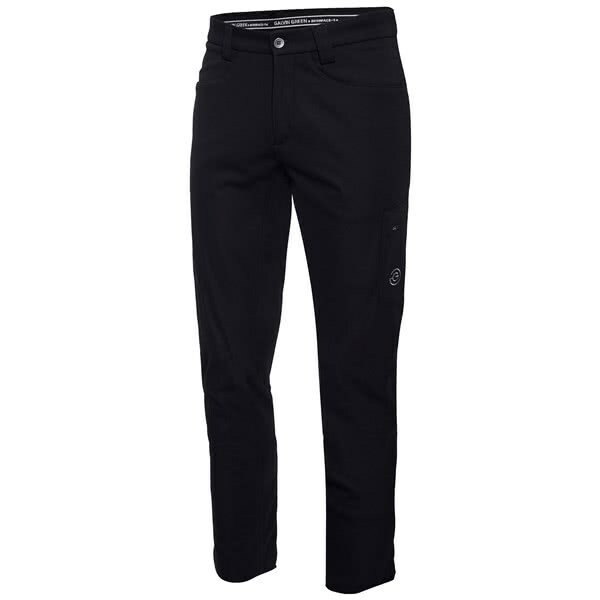 To provide excellent storage for your on and off course accessories Galvin Green have added back, front and leg pockets. Quality: 100% polyester stretch with a ePTFE membrane and water repellent finish.